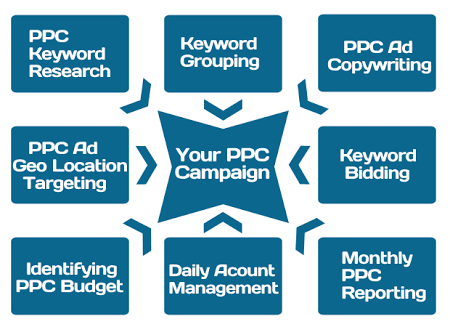 Every effort that you put into your PPC campaigns and specific ads should be driven towards achieving those two goals. Of course, including negative keywords can help filter off the keywords that can negatively impact your click rate, sales, and revenue. But it’s not enough. When you’re looking to generate leads and grow your business quickly, pay per click advertising is the best way to go. Adopting proven PPC best practices can prevent you from losing money and prematurely giving up on PPC, believing it doesn’t work, despite the fact that the PPC ROI is relatively high. In this in-depth article, I want to show you some simple things you can do to increase your PPC ad views and lower your CPC at the same time. Pay per click advertising is tricky. If you see no reason why you should adjust your bid, then you might never lower your cost per click. Truly, if you’re just starting out, Google can help you manage your bid based on what it concludes is best for you. You’d take the default bid, and let Google do the rest. Automatic bidding really does work. It helped Rakuten Ichiba reduce campaign costs by 12%, increase conversions by 12%, and increased the value of sales by 14%. Automatic bidding saves you a lot of time because Google handles everything, from bid monitoring to adjustment. Your job is to log in and check how your campaigns are performing. However, if you want to lower your CPA and increase ad visibility, you need to switch from automatic bidding to manual bidding. This helps you prioritize keywords that will convert better for you. What’s more, you can optimize your CPA to a level that helps you maximize clicks and thereby generate better leads. Again, when you notice that your ads are underperforming, there’s no way to make quick adjustments if you’re using automatic bidding. But it’s a piece of cake if you bid manually. But don’t switch blindly, because manual bidding all by itself will not improve your PPC ads CTR. Rather, it’s all in how you approach it. i). 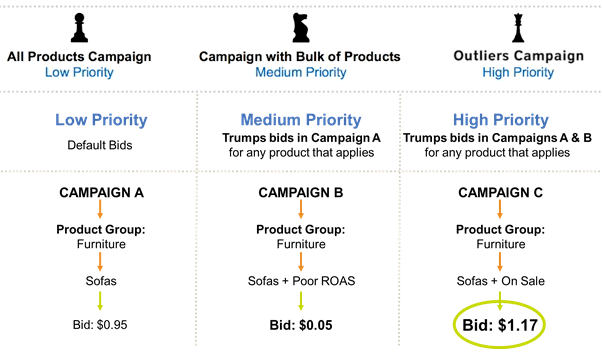 Focus on just one campaign per time: This can be time consuming, especially when you have several ads to manually fill out their bids. That’s why you should start with one campaign and scale from there. ii). Lower your bids: If you’ve got keywords that have received a lot of impressions but didn’t produce any sales, you can lower their bids so that you can stop wasting money on non-converting keywords. iii). Increase bids for converting keywords: As you lower the bid for keywords that aren’t generating sales or leads for your business, you should also increase bids for high converting keywords. This would reduce the position of your ads such that if they were placed at #2, now they can be at #5, assuming you’re on search networks. When you study your statistical report and notice that a set of keywords (maybe 1 or 2) are bringing customers who purchase your product or sign up to your list, you can increase their bids. That way, you can increase the position of those ads and generate even more sales. iv). Use the Average CPC: Everything matters when it comes to PPC ads, but one of the key elements that’ll make a whole lot of difference is how you utilize the average CPC, especially for different devices. This important metric helps you determine the appropriate bids when you’ve switched to manual bidding. Generally, the average CPC shows you the exact amount you’ve been spending per click on any particular keywords (when you were using automatic bidding). When you’re armed with this, you know exactly where to begin your next bid and the potential to multiply your results. As you enter the bidding auction, you have to account for your bid manually. Remember that your average CPC has to be lower than the bid you decide on, because your actual bid is usually the maximum CPC you’re willing to spend on any given click. Always choose a default bid that’s close to the average CPC in your campaigns, so that you can maintain your ad’s ranking or increase its position without spending additional money on clicks. Above all, remember that there’s no one-size-fits-all here. Whether you use automated or manual bidding (which has the potential to lower your CPC), you need to test it out and stay consistent. Sometimes, you need to run the ads for several days or even weeks before making a decision about which bidding strategy you should adopt. When PPC Hero tested out both manual and automated bidding strategies, they were consistent for 6 weeks. They reduced the bid and, by tailoring the bidding strategy to mirror the nature of their business, they grew their revenue and were able to plan for the month ahead. Google AdWords can quickly send you targeted traffic, leads, and sales. But don’t take my word for it. According to Sitewit, “Businesses make an average of $2 in revenue for every $1 they spend on AdWords.” Paid ads are 56% more profitable than social media, which has about a 44% ROI. For most websites and landing pages, about 2% of visitors convert on their first visit. Retargeting (also known as remarketing) can help you re-engage these visitors who bounced off and never returned. If someone clicked on your Google Ad but for some reason didn’t take further action to either subscribe to your list or purchase your product, they’ve indicated their interest in your offer. Don’t lose them. Bring them back and they’ll thank you for it. Retargeting is a simple practice that allows you to keep your brand (e.g., ads, website, product, events) in front of bounced traffic after they leave. Retargeting is very useful when you’ve a lot of your site visitors bouncing off (leaving) immediately after they visit your landing page or site. Marketers are already retargeting across different channels. In fact, 80% of marketers are actively involved in site retargeting. Ideally, you should set a shorter time period, about 30 days. Better yet, set the duration to align with your sales cycle and objectives. The only way to be sure about the perfect membership duration, though, is to test it out and set length by the size and behavior of your list. For example, if you’re going to retarget before Valentine’s Day to remind people to purchase gifts for their significant others, you don’t want that ad to continue appearing in March – or worse still, April. If you’re currently remarketing, Google AdWords has leveled the playing field. Now you can easily segment your Remarketing Lists and serve up ads to prospective customers based on what they want, and the specific landing pages your ads initially brought them to. This particular type of segmentation gives you a rare advantage to reach the target audience members who want to hear from you again. After all, they once visited your landing page. Retargeting to your segmented list is critical, because it saves you time, money, and effort. Instead of creating new ads for new leads, you can instead focus on those who’ve indicated interest. This can lower your CPA and get you more sales. Depending on the nature of your business and the specific conversion goal you want to achieve, targeting only search users might benefit you the most. For example, if you know that your target audience consists primarily of search users (people who search Google when they’re looking for information), you can let your ads show up above the organic listings or on the right side of the search. The core reason for building your campaigns via search networks only is because if you select display networks (other authority sites in Google’s network where Google ads are advertised for more visibility), you’ll get unnecessary clicks on your ad that may not translate into leads or sales. Every smart Google AdWords advertiser knows that in order to lower CPC and maximize the clicks going to the landing page, they have to adjust bids based on location, day and times, and the devices used. Since the focus of every PPC advertiser is to lower CPC and increase the number of people who view the ad, click on it, visit the landing page, and convert – then you’ve got to track everything. No stone should be left unturned. Therefore, your attention must be firmly placed on adjusting your keywords bids based on devices, locations, days and times. Based on the above pointers, if you discover that a particular day of the week isn’t generating only clicks and no sales, you can pause or stop your ads running on that date/day. On the other hand, you can increase your bid so that your ads can become more visible on days that generate both targeted clicks and sales. Again, this result is not typical – different industries have different benchmarks. That’s why you must test everything out and stay consistent. When it comes to increasing PPC ad views and lowering CPC, you can’t afford to neglect long-tail keywords. You already know that long-tail keywords generate up to 80% of organic traffic. Smart marketers take it seriously. Big brands may not find it worthwhile to invest their time and money into long-tail keywords – they have huge budgets and high brand recognition, right? They can go after the head keywords (e.g., plastic surgery) and still rank in Google. But if you’re just starting out, you don’t dare go after head keywords with all that competition with all those huge budgets. It’s too much competition, and too hard to break in. In the same vein, too many people fail at leveraging Google AdWords to drive traffic, leads, and sales to their businesses because they’re bidding for the same keywords that big brands go after. You should therefore review your keywords and add more long-tail keywords. These keywords may not generate super-high click-through rates, but you can be assured of the quality of the clicks you do get. 10,000 people who haven’t decided on purchasing your type of product yet? Of course, you’ll take 100 ready-to-buy prospects any day. When you add more long-tail keywords, you’re not necessarily concerned about too many people clicking your ads and coming to your landing page. On the contrary, you want only the right people – the people who have money to spend on your product. To get this started if you’re already running a campaign, you should create ad groups that focus on lower competition keywords. Truth be told, long-tail keywords usually have lower search volume, but you’ll pay less per click and convert better leads. With so much information and so many technicalities associated with running PPC ads, you might get engrossed in the data and forget about the simple things that’ll make a difference in your bottom line. 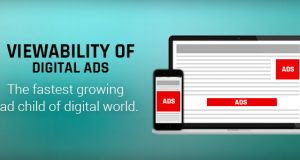 As simple as rotating your ads evenly on your campaigns might seem, it can help you lower CPC and increase the number of ad views you generate per day or week. One of the reasons why I like Google AdWords ads and other PPC advertising platforms like Facebook, Instagram, and LinkedIn is the flexibility and control you have over your campaigns. You can login anytime of the day, modify your keywords bids, pause ads that are underperforming at a particular time of the day, and literally reverse-engineer your campaigns using Retargeting for Segmented Lists. Organic traffic is fun to get, but you need to be patient as you continually produce high quality and shareable content. But with Google AdWords PPC, you can start getting traffic, leads, and sales to your business within 24 hours – assuming your sales funnel is well optimized.